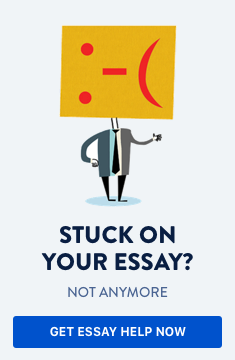 Quite often students are required to write an essay or a research paper for academic purposes. And very often professors and teachers usually ask for an outline of the actual work. Actually, an outline is just like the blueprint of an essay or research paper. The outline actually helps and guides you in making the main essay or research paper. However, most of the time many students find writing the outline to be a taxing exercise and quite often they seem to be asking: “how to write an outline in MLA format”. This is not a very difficult task and can be mastered by some practice. Making an outline in MLA format differs quite a bit from writing an outline in APA format. The Modern Languages Association or MLA has set some standard rules that should be used every time an outline is to be written using the MLA format. The tips provided in this article will effectively guide you in writing an outline in MLA format. Page margins should be set to one inch on all sides. Page numbers and the last name of the student must be present on each page (top right hand corner). The first page should contain some basic information about the student like first and last names, title of the paper, etc. The last page should contain the list of references (bibliography). Mention the title or topic on the top of the page. Center it using the “Center” icon which is present under the formatting toolbar. Make an Introduction at the start of the outline. This could be your sample thesis statement. The introduction should not be too short or too lengthy. Remember that a good introduction is the very foundation for your main essay. You must try to focus on mainly the key points and ideas that you are going to mention in the introduction. Any kind of deviation will make the main outline appear bad. So, introduction should be crisp and precise. Mention some background information once the introduction has been done. Mention the Thesis topics (1, 2, 3 or more). Here you can write one or several paragraphs for your thesis topic(s). Mention some counter arguments if you have any views or opinions on the topic/thesis. Finally, write a conclusion at the end of the outline. The thesis sentence could be referred here along with the ideas that you have mentioned in the above paragraphs. Also, a summary should be made that should sum up your findings or discovery. You should keep in mind that the conclusion should not be too lengthy as it is just a summary of your outline. Too lengthy outlines should be therefore avoided. The above simple steps will be very helpful while writing an outline in MLA format. Writing an outline in MLA format can be fun if students try to replicate the above guide in their actual outline paper.